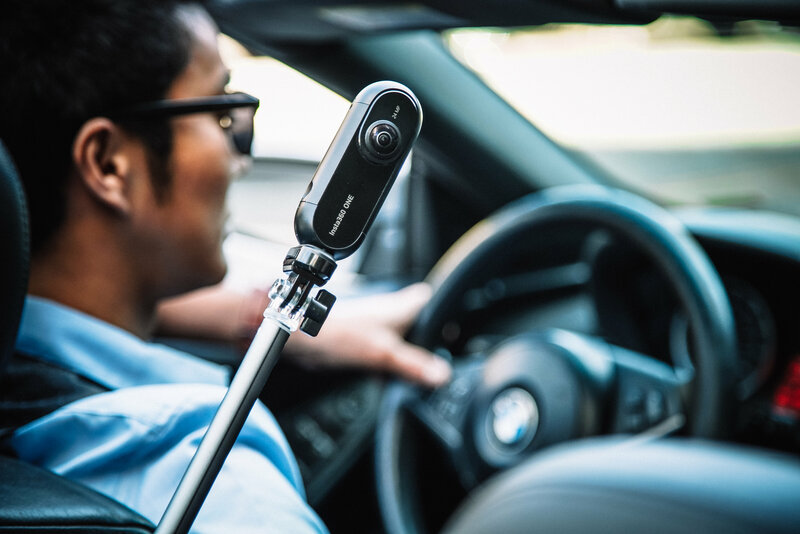 The Insta360 brand has quickly become known for consumer 360 photography products, and the new Insta360 One is its latest device designed for mobile immersive imaging. The new Insta360 One offers 4K video resolution, and 24 MP stills, as well as the ability to work in a completely standalone mode, remotely with your phone as a Bluetooth controller, and plugged in directly to your iPhone using your smartphone’s display as the viewfinder. This latest Insta360 camera comes with a number of improvements beyond image quality, however, including a new ability to select an angle and export a 1080p non-surround video clip from whatever perspective you choose, and upping its image stabilization capabilities to allow for much smoother video, even when handheld, and to create a ‘bullet time’ video effect in slow motion using a unique capture method – circling the camera overhead quickly using either a selfie stick or a piece of string to create a super cool slow motion 360 video. Said string is included attached to a standard tripod threaded mount that screws into the bottom camera, letting you get started with this cool feature right away. The string is also edited out of the image automatically, as are any selfie sticks you use with the camera, which makes for a much cleaner resulting image or video. The bullet time effect is very cool, but it’s important to follow the instructions to get it right. The resulting images really do look like something pulled from The Matrix, with you as the shooter in the center and the work around you nearly frozen in time as the image zooms around. It’s a new twist on the selfie, but it also requires a lot of available space to work well – don’t expect to be doing this much indoors, or with a lot of other people in your immediate area. It’s a very neat feature, but that’s probably going to be more broadly useful about the Insta360 One over time is its general flexibility. The camera has a built in tripod mount on its main body, and comes with a protective case that doubles as a stand. Its remote capabilities mean you no longer have to be that close to it to use it, and it can still plug directly in your iPhone when you want to see exactly what you’re capturing, too. There’s an Android version coming soon, too, so don’t feel left out if that’s your platform of choice. And if you’re looking for shooting options, there are a number of different ones including RAW support for images and Log format for video, which means you can do a lot when editing the resulting files. The camera also supports time-lapse capture, as well as full manual camera settings, and its output options also offer a range of different choices. This is easily the best consumer 360 camera I’ve tried out so far, because of its range of options, and the results of its photos and video, which are high quality for a device that doesn’t cost thousands of dollars. Insta360’s stabilization, stitching and companion app are all terrific, and make working and sharing with the content you capture super easy. 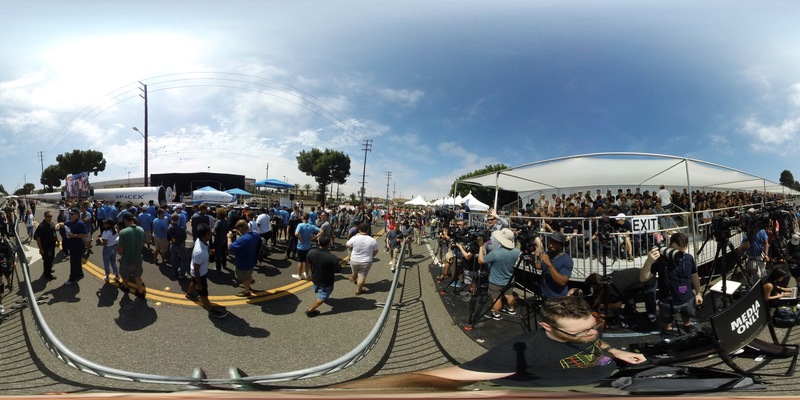 The Insta360 One also supports Facebook Live streaming, which is great if you want to show off a special event or concert, and its 1080p video export feature is convenient for capturing everything and then setting a frame for sharing later. You can even track a specific subject using a feature called “SmartTrack,” to tag a face and have a resulting 1080p non-surround video output as well. I also got to try it out with a Bluetooth remote and selfie stick that Insta360 plans to sell as accessories. There’s a forthcoming waterproof housing, too, that will turn this into an all-condition and even underwater camera, up to a depth of 30 meters. That’s definitely going to make it a constant vacation companion for me. The world of 360 consumer cameras is admittedly getting a bit crowded, especially considering how many people are probably actually consuming 360 content. But the Insta360 One seems like a clear favorite now, even with its $299 price tag. There’s a lot of value in that price, and this is definitely my top recommendation right now if you’re looking to get into surround video and photos. Orders are up now for the Insta360 One, and it’ll start shipping on September 5, with accessories available later. Is the box, you get a micro SD card, a micro USB cable for charging, the case and the string attachment for bullet time shots.